I do like the picture that a character from the 19th century is looking over your shoulder onto your computer screen and tells you “no, no, no – that’s not what I would say… I would tell her/him…” So whatever they tell you, let them have their way, I like the result. I love that you are aware of the power of the spoken word and that you “let” your characters tell you their story. I believe that it is wonderful when a character becomes who they truly are. It is encouraging when an author realizes a characters has gotten off on a tangent and wants to do something completely unexpected. And I think that Flavian is exactly the kind of man who would want to immediately marry someone he loves. After all, when someone has been in a war, they realize that life is fleeting. I always find it fascinating when an author talks about their characters taking over the story. I wonder if this is true for every author? That old rhyme we taunted as children, “Sticks and stones may break my bones, but words can never hurt me,” is so very not true. I still carry the bruises from the verbal stones hurled by ones who professed to love me. I suppose we all do, to some extent. No amount of apologies soothe the wounds or erase the memories. We just walk on, all black and blue. It must be so. Amazing to have your characters take over like that. It’s so interesting to find out how authors write. Thank you for sharing. The older I get the more I say what I am thinking – within bounds. I do filter my comments but not quite as much as I used to. I don’t feel the need to please like I once did. I believe any writer with that kind of talent has an inborn talent that simply amazes me! I wanted to write but no words came to me. So I just voraciously read. I love that your characters can and do surprise you! I am not a writer, but I love this concept of the characters having free will. Explains so much creativity. I love your books and the characters. 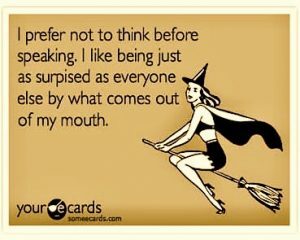 Many times I have opened my mouth and inserted my foot. Afterwards I think, who was that idiot and why did she say that. Writing is a constant redo. I never had such a powerful example then, as a volunteer for an organization I wanted to write a scathing letter to the local paper. My colleagues sat and read and discussed the topic through at least 4 rewrites. What the final product was so much more powerful and compelling. The result? Published and the public support was so much more than expected. I find your creativity compelling and love hearing about the characters speaking to you. I would love to have a copy of any one of your books. I just finished rereading SLIGHTLY WICKED…for the second time. Now I have to go back and reread the whole “slightly” series. Those Bedwyns have me enthralled again. I would rather spend time with them ( and the lovely Survivors Club members) than with most of the “real” people of my acquaintance. Keep letting your characters have their way. They seem to know exactly what they are doing ? Good morning! I loved this blog msg. And, it is so very true. As a military commanders administrative assistant I have to guard my words carefully. You never know who is calling or who all will see your email/letter. There has been many a time I have typed up a response then stepped away to let the words settle in my head. Then, I re-worded so that the presentation wouldn’t get me in trouble with the be boss! Words do have power and presentation is important. I love Flavian. Because of his situation words tend to just pop right out of his mouth. Some of the best story tellers listen to what the story has to say. I love to read your insights about writing. It really shows what an amazing talent you have that you can take the words the characters are telling you and weave a story that enthralls your readers. I love to read your stories. Happy Monday! The power of both pen and mouth is utterly amazing and completely overwhelming. I think that it is hard to discount how much words make a difference. I love your books and the powerful people who spring to life whenever I read them. Their lives feel as real as my own. My favorite thought about the power of words is a story from Chicken Soup. A teacher in high school had her class write something nice about each member in their class. Then she compiled the comments and distributed these messages of encouragement to each student. Years later she had to attend a funeral for a former student who had died while on a military mission. At the funeral the student’s father shared that the longworn paper was a treasured possession that he had carried with him. The words meant so much to him. This sharing in turn encouraged the teacher so yes words are indeed powerful! Have a blessed day! ❤️?❤️?❤️✉️?????? Edmund is one of my favorites too. At the end when Edmund says “tell me it was good” Is priceless as heroes never have performance anxiety. I love it when He reconciles with his brother and father. The men are so bad at it and need it so much. It is a heavy load to feel like one has damaged a child no matter how old or a brother. I feel we are lucky your characters speak to you. I’m going to stop trying to control the story and let the characters free. We all need free will. I love that this is how you write. I love learning about your craft of writing. Knowing that you are surprised by the characters you create is fascinating. I love your books because of the characters and so often they become friends to me the reader. Thank you! Thank you for your insight about how authors write, and thank you for your great stories! I had a great chuckle reading your blog. You must get lots of surprises at what comes out of your characters mouths. Wow it must be so exciting to be able to write as you do. Thank you for the chance to win one of your books. I really try to monitor what I say but every now and again it bears so heavy on me that I just blurt it out. Letting the characters’ words lead the story line shows what a wonderful imagine you have. Your books always lead me on a wonderful journey. Mary and Edmond’s story was the first of your books I ever read. They remain two of my favourite characters many years later! There is so many wonderful things about your writing, intentional or not. May you never stop writing! It is amazing that these characters have a mind of their own. You have to tell it their way and they don’t want you to deviate at all. Thank you for telling wonderful stories. So true. The spoken word has the power to change lives. At the darkest point in my life, someone I cared deeply for but could never pursue sent me a message that saved my life. I love him for that. It is so cool to hear about your writing process, your stories are always so good. I love reading them. Thanks for the chance to win. Wow! I love the insight into your writing! Lovely insight into your writing process! I’ve just “discovered” you and have enjoyed everything I’ve read. I’m looking forward to more Wescotts and finishing the both of the Slightly/Simply series. Your characters and their stories always surprise me. How delightful that they so often surprise you too. I never would have guessed such a thing. I have made some bloopers too! Would love a copy of the book and you are on my author’s list to check out! What an imagination you have. Thank Goodness! But are the characters REALLY speaking their minds, or yours? Interesting blog topic. I do so love your books! Thank you for the insight into your writing and characters. I adore reading your books. Like my beloved Georgette Heyer, I return to them and re-read with as much pleasure and delight again and again.. It is easy to visualise the characters and setting. If I ever travel to the USA, I have a foolscap list of books which seem unavailable in Australia. Last time I carried home a case of souvenir mugs, next time hopefully lighter ebooks, but heavier paper copies if I must. Thankyou. Have enjoyed your books over the years. Your writing is some how “different” from all other authors. There always seems to be an underlying feel of melancholy under even the happy occasions as if it is whispered. Your heros are not always the stereotype Alpha male and your Beta males are long remembered and are the best! Often there is a moment three-fourths of the way into the book that is like a light bulb moment. That is not all of your uniqueness but thank you for all that you write for us. I am a total blurter. No one really knows what will come out of my mouth next. Fortunately I am not given to maliciousness or spite. Also fortunately I am surrounded by loving and forgiving friends and family, who, I think, find me and my blurting rather amusing. I think that is why I have a really soft spot for Flavian. When he asked Agnes to marry him no one more surprised than he, as if some inner force was taking him along, whisking him toward a better life than he had known he needed. We are all influenced by each other’s words and our own words. It’s part of the intricate tapestry that makes our memory and our perspective. 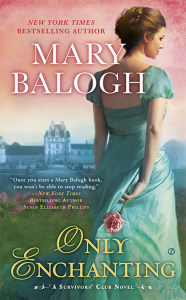 What I love about your work Mary is that the intricate interconnections are what make all your characters so real and so lasting. They change me as I read them – how curious to think they change you as you write them! That is the very best phase of writing, when characters begin to move and speak. I’m glad Flavian got those words out– it’s an enchanting story! Wow! It never occurred to me that an author could be taken by surprise during the writing process. That’s incredible. And it must be exciting (and/or scary?). I love knowing that those surprises aren’t only experienced by the reader. Just one more reason to love your books. Thanks for the insight. I’ve always enjoyed your books. Thank you for that interesting glimpse into your creative process. I feel as we become oldet we speak more freely about what we feel. I especially like when a writer gives her characters the ability to sau what they think. I love your books, Mary! Love how the characters became real even for the author and take the lead of their own story. I guess that instinct is also important to define how the story develops and that instinct became words. What an interesting topic this week and thanks for your words. Since I’m not a writer, I have a hard time imagining that characters take on a life of their own and insist on saying unplanned things. Yet, I’ve heard so many authors say this, so it has to be true. I guess that’s no stranger than the characters becoming real to me when I read their story. As for my own life, there have been too many occasions when I’ve said something that I would dearly love to rewind. 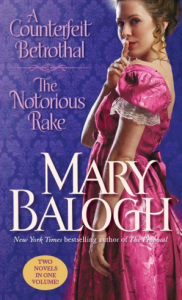 If selected, I’d treasure a signed copy of The Notorious Rake, which is one of my very favorites written by you. I love your survivor series. Every single book in that series tugged my heart strings and at times, reduced me to tears. I think people have forgotten that names are words and have meaning beyond being a name. I love reading your books. I found it fascinating to read about your writing process. I am quite new to reading your books, having read the Survivor’s Club, Huxtable’s and Westcott series, and have loved every one. The best think developed on social media sites is the edit button, I’m forever posting things and then realise it needs amending. It is amazing how powerful is the spoken word. There are comments I still remember that people may not have meant much bye but have remained with me for good or ill. I love your books especially how they reflect the inner life of the characters major and minor. Please keep writing. So fun to read how your stories evolve. I do enjoy your books mostly, I think, because the emotions feel real in your stories. You know that love isn’t easily won or given and your characters do too! I am in awe of the ability of writers- great ones, anyway – to create compelling stories, to breathe life into memorable characters, to entrance us with the gift of their craftsmanship. I thank you for sharing your gift with us! And this blog post… a glimpse into what makes a great novel work – by having your characters at times actually dictate to you how the story should proceed! I love it! Do you ever have to put your foot down and forbid them from interfering? ? “Do you ever have to put your foot down and forbid them from interfering?” Celeste Meehan. Yes, I do, Celeste. When I was writing A SUMMER TO REMEMBER, the Bedwyn siblings persistently tried to take over the book. I kept having to delete whole chunks of text as I insisted upon keeping the focus on Lauren and Kit. In the end, I promised them their own series if they would behave themselves and act like the minor characters they were. And so the SLIGHTLY books were born. True story! Mary, I am SO glad you kept the unexpected results of your character’s rebellion for the predetermined course of their lives in both books! I think it made them both richer stories and gave the characters depths that drew the readers in. I love both of those stories and have enjoyed reading them again and again. Hi Mary! I found your commentary fascinating! When I started interacting with authors on Facebook I felt like I was getting to see the inter workings of rock stars in my mind. To be able to compose the wonderful stories I have read is just a gift! Then when I heard authors speaking of how the characters talked to them I was beyond amazing. Years ago I would have these story ideas when I was reading romantic suspense but I never followed that because it cut into my reading time! Then one day I read a free book by Sabrina Jefferies and that the end of any other type of of book. I have devoured every historical romance I could and your books were one of the first. I love your stories and just thank you for entertaining us with your words! Sorry so long!! I absolutely loved this blog edition. Characters in books that I enjoy become very real to me as a reader. And they live on to me long after the last page is read. I reread these books when I need to capture a certain atmosphere or feeling or escape. I am, generally, a mentally and emotionally healthy person but life offers most of us challenges and books and beloved themes and characters are great (and inexpensive) therapy! You must be very conversant with the human condition. Thanks! I t must be interesting when your characters grab the story out of your hands and run in a completely different direction!! I suspect it takes a lot of experience to learn to trust your characters and let them lead the story. I’d love to hear the “inside story” on every book you’ve written. Looking forward to reading the Notorious Rake sometime soon. I always wondered how story lines developed. Now I know. You have a tremendous talent for weaving together intricate story lines with dynamic and often complex characters. Your books are delicious and I devour them! I’m a teacher and I commute to work for about two hours a day. I listen to your audio books (literally spoken word!) and they take me to a different time. Some time shortly after I stop for my morning coffee, I am transported to another place… i’m in a horse-drawn carriage, holding my bonnet and I can almost hear the horse’s footsteps when I listen to your stories. The romances you create are scrumptious. I know that the good guy will win, and we need that type of narrative in these somewhat disappointing times. Your books have also taught me the words curricle and hessian boots! So in addition to the stories, i’m learning too, “by Jove!” (another one of your common expressions that makes me smile when I hear it). When I get one of your audio books, I want my commute to be longer. I’m an avid reader and I can’t make that claim for many books that I read. Thank you for sharing your gift with us!!! I loved that Regency Christmas series – I think I have most of them. I enjoyed reading every story and in fact, I still read lots of them – and it doesn’t have to be Christmas. Wonderful stories by wonderful writers like you.